Ask any Bengali neighbor/friend of yours why he or she is so excited during the Autumn months every year? Ask your Bengali colleague at office why he or she took that 4-day leave round about the Navratri-Dussehra weeks which most people in the country are more familiar with? The answer would be “Durga Puja”. Yes, this is the time of the year each and every Bengali (including yours truly) eagerly anticipates throughout the year; The few days of the year when the “City of Joy”, Kolkata becomes the “City of Lights”; The few days of the year when the spirit inside us Bengalis come alive… as we worship our favorite goddess, Ma Durga. I am not really an expert who can tell you about the origins and evolution of this festival (maybe websites dedicated to this would be a better bet if you are seeking that information) but today, as I sit in front of my laptop at my Chennai residence, missing the 2nd Durga Puja of my life away from Kolkata, I would like to recount some of the wonderful memories of this festival I treasure in my mind… memories that will last with me forever no matter where I land up. Plus a lot of my friends I have acquired during my MBA and work (from across the country) often tell me that they hear so much about this festival but can’t really make out what makes it so special. Maybe this blog of mine would help them a bit. One of the first memories I have of Durga Puja is from my childhood years when I used to go pandal-hopping with my Ma and Baba every morning during the core 4-days festival (Saptami, Ashtami, Nabami and Dashami). Now, for the uninitiated audience, during Durga Puja, more than two thousand pandals come up across the city of Kolkata each of them unique in their own right. Some of the bigger Pujas make pandals depicting some of the more famous temples in the country e.g. the Konarak Temple or maybe the Golden Temple. Trust me, it seems like marvels across the entire country have descended to Kolkata during these few days and the city gets transformed into a sort of mini-India. Other smaller Pujas may not have so much funds to erect such marvelous architectures but they do decorate their pandals in their own way and even though less they get less media attention, they still manage to capture the spirit of the festival by bringing people of each locality together as well as (or sometimes better than) their big-budget counterparts. Some of the must-watch Pujas for you, if you are an outsider and manage to visit Kolkata during this time of the year, would be College Square, Md. Ali Park, Santosh Mitra Square, Kumartuli, Ekdalia Evergreen among many many others. We used to cover all these famous pandals in the morning and come back to our very own locality Puja in Lake Town (called “Park Sarbojonin Durgotsav”) in the evenings to enjoy the awesome Sandhi Puja and Arati. Of course, I was a small kid at that time and was more interested in playing with my friends outside our pandal but was still somewhat intrigued by the spirit emanating from inside where the actual Puja was happening. 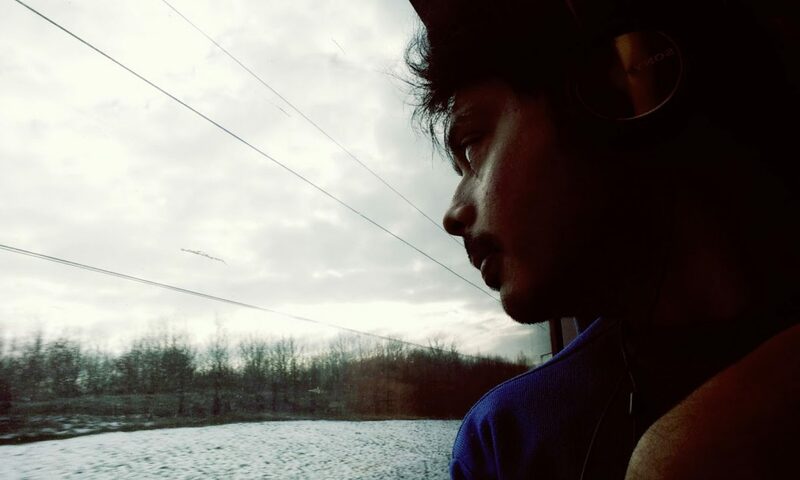 You would definitely feel the same even if you are alien to Kolkata when your hear the rhythmic drumbeats! Once I grew up into the teenage bracket, I remember setting out for these pandal expeditions with my friends – This is one time when the city is crowded with people 24×7 and parents are generally not so apprehensive about letting youngsters out, even at night. Some of these overnight expeditions I had with my friends, relatives and in recent years with a very favorite junior of mine are some of the fondest memories of Durga Puja. You won’t imagine the hustle-bustle of the crowd at maybe 3 AM in the night as you stand in those never-ending queues to get a glimpse of the goddess. By the way, I forgot to mention that its not just the pandal that is a work of art – So are the deities which are sculptured over months by skilled artists and the beautiful lighting boards erected across the streets of the city depicting contemporary themes of the country. I have heard that Ma Durga was an icon of independence during the early 20th century and also that Goddess Durga is a form of Sakti worshiped for her gracious as well as terrifying aspect. So you might get to see some deity depicted as killing some villainous persona like Osama Bin Laden with her trishul instead of the normal Mahishasur! They say that in these few days of Durga Puja, the rich cultural heritage of Bengal truly comes alive. And the best part is t hat you get to see people from every nook and corner of each locality contributing to the same. I still remember those fascinating plays, dances and concerts we used to have in our locality Puja every evening and how young boys and girls as well as elder people of our locality used to come together and take part in them. I especially remember an enactment of Agatha Christie’s “Mousetrap” play I had watched as a kid on one such occasion. Of course, these events are also supplemented by performances by famed artists – especially Bengali Bands who have become really popular in recent times. But you know what – Its not just the culture that becomes so prominent during this festival… Its something more. It’s the togetherness with which all of us Bengalis operate at this time which leaves a big mark. It’s the fluidity with which the octogenarians and sexagenarians and middle-ageds and youngsters and teenagers and kids of my locality used to work in tandem to perform the entire Puja schedule right from Agaman (Arrival) to the Bisarjan (Departure) of the Devi that would remain etched in my mind forever. Those scenes are still fresh in my mind – People from all ages sitting for “Bhog” lunch and youngsters serving the food… Moms, dads dancing with their sons and daughters along with the entire neighborhood (with whom they hardly interact during the busy schedule of the rest of the year) during Devi Bisarjan… The Adda (chat) sessions during these 4-5 beautiful days where people get to know more about each other… A little bit of sharing and caring painting the virtues of warmth, love and affection Bengalis are known to have! Today, as I spend my 2nd Durga Puja away from home (Thankfully not consecutive years, though), I sit back and reflect on those wonderful and enriching times I had spent during Durga Puja. Luckily, we do have Durga Pujas even in Chennai (just like most parts of the country and even some parts of the world) – In fact, I was highly impressed by one of the Pujas we have here in T Nagar, Chennai where I could find glimpses of the spirit I have been talking about all along in this blog. But somehow I feel Kolkata is the place to be at this time of the year. I do salute all these people though who have been forced to stay away, whatever reason it may be, for putting a smile on faces like me by bringing Durga Puja to an alien-land like Chennai. 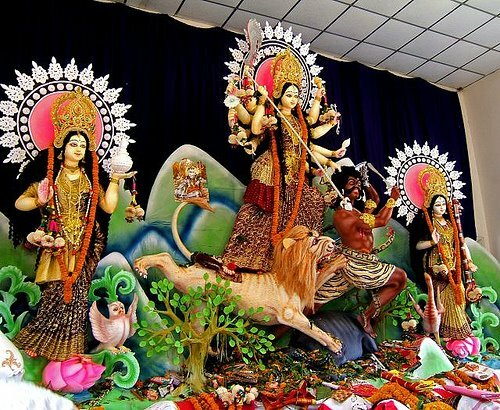 But most importantly, I salute Durga Mata for keeping the Bengali spirit alive and brining all of us together year after year after year giving us a fresh feeling of hope and of love in this hapless world we are forced to live in. 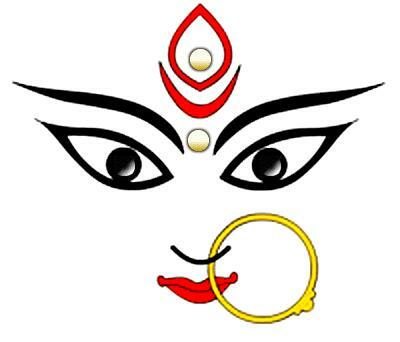 Thank you, Ma Durga for everything… Bless us all and Bless the world! Previous PostPrevious Should exams be rescheduled if they clash with sporting events?